Having paid the normal tariff you can pass through the tunnel once. 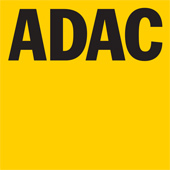 At the approximately 450 offices of the ADAC a reduced-rate 2-trip ticket is available. ADAC members can take this opportunity to get maps, guides and holiday advice. At the Felbertauern Highway toll plaza – at the entrance to the 5.3km long tunnel – you will be welcomed by our friendly staff. When you show your ADAC advance sales ticket, the official will tear off one ticket. You can use the second ticket at any later time. There is no need to worry about change or type of ticket. With the ADAC advance sales ticket you are right every time. With the ADAC advance sales ticket you save time and money. The unique scenery of the Hohe Tauern National Park is included in the price, for free. NB: this ADAC service is also available to non-members. The Felbertauernstrasse AG in cooperation with the Grossglockner Hochalpenstrassen AG issues in summer (May till October) a ticket for a round trip which is valid for 30 days. With this round-trip ticket you can use the Felbertauern Highway and the Grossglockner High Alpine Highway once each while the ticket is valid. Annual tickets are valid for one year from date of issue for one specified vehicle. This yearly ticket can be transferred only once to another registration within the validity period. Should a re-issue of the yearly ticket be necessary because of loss of ticket or when transferring to another registration, there is a processing fee of € 10, to be paid at the toll plaza. The vehicle registration certificate must be presented. Having paid the normal tariff you can pass through the toll gate once. For vehicles in the motorcycles and cars categories whose owners are registered residents in the Mittersill municipal area and for employees of firms based in Mittersill but who live south of the Felbertauern tunnel a reduced neighbours tariff applies. Eligibility in the form of a pass issued by the Mittersill market town authority must be presented at the toll plaza. The Felbertauernstrasse AG in cooperation with the Grossglockner Hochalpenstrassen AG is issuing in summer (May till October) a ticket for a round trip which is valid for 30 days. With this round-trip ticket you can use the Felbertauern Highway and the Grossglockner High Alpine Highway once each while the ticket is valid. Restricted to specified vehicle registration. These tickets are issued on application to all those with severe permanent mobility problems who are in possession of the new standardised EU disability parking card (original colour is blue) with photo or who have a permit in accordance with §29b StVO and who drive a vehicle in the 1B category (car) that has been classified as a vehicle specifically for use by disabled persons (disabled car or at least driver restriction for operating a car with no clutch (automatic)). To qualify for this you must provide proof that you have the corresponding permit, that your car has been classified accordingly and that you have a valid driving licence with the applicable restriction. This disabled drivers ticket cannot be transferred and is valid solely for use on the P1 Felbertauernstraße. The beneficiary as the registered owner of the vehicle must be in the vehicle when passing the toll booth but need not necessarily be driving it. PLEASE NOTE: This yearly ticket is valid for 1 (one) year from date of issue. Thereafter a new application with the production of the documents required must be submitted. There is no automatic extension. Disabled drivers yearly tickets are non-transferable. Lost tickets will not be replaced and tickets once purchased cannot be returned. There is no extension. Frequent users can purchase discount tickets at three staggered values. The respective discount amounts to 15% for the lowest (MINI), 25% for the middle (MIDI) and 35% for the highest (MAXI) level. These discount tickets are split up over 3 or 5 tickets of the same value. When you purchase the lowest level you obtain 1 magnetic card, with the middle level you get 3 magnetic cards and with the highest level you obtain 5 magnetic cards. With each trip past the toll booth the normal amount is debited in accordance with the designated category. The normal toll amounting to € 60.00 for a goods vehicle with 4 or more axles will be debited from the ticket value. The discount means that the actual toll paid in this case is € 39.00 per trip. Nach Bezahlung des Normaltarifes ist ein einmaliges Passieren der Mautstelle möglich. Für die reguläre Einzelfahrt bezahlt man direkt am Tunnel-Südportal € 11,–. Bei den rund 450 Geschäftsstellen des ADAC ist jedoch ein vergünstigtes 2-Fahrtenticket um € 18,00 erhältlich. ADAC-Mitglieder nutzen diesen Besuch ebenfalls, um sich mit Kartenmaterial, Reiseführer und Urlaubstipps einzudecken. An der Mautstelle der Felbertauernstraße - direkt am 5,3 km langen Felbertauerntunnel - werden Sie vom freundlichen Personal begrüßt. Nach Vorweis Ihres ADAC-Vorverkaufstickets scannt der Mautner Ihr Ticket ein. Die zweite Fahrt können Sie zu einem anderen Zeitpunkt einlösen, auch bei dieser 2. Passage wird Ihr Ticket elektronisch gelesen. Bitte beachten Sie jedoch, dass pro Fahrzeug ein eigenes ADAC-Vorverkaufsticket benötigt wird. Um Wechselgeld oder Ticketwahl brauchen Sie sich nicht mehr zu kümmern. Mit dem ADAC-Vorverkaufsticket liegen Sie immer richtig! Natürlich weiterhin erhältlich ist das beliebte ADAC-Vorverkaufsticket für PKWs und Wohnmobile (unabhängig des hzG). Dieses Ticket für eine Hin- und Rückfahrt kostet im Vorverkauf € 20,00. Sie sparen mit diesem Ticket Zeit bei der Abfertigung und bei Hin- und Rückreise 10% des Ticketpreises. Tipp: Dieses Service des ADAC steht auch Nicht-Mitgliedern zur Verfügung! Frequent users with goods vehicles in the 1C category can purchase discount tickets at three (3) staggered values. The respective discounts correspond to 15% for the lowest denomination, 25% for the middle one and 35% for the highest unit. With each journey through the toll plaza the normal amount for the 1C category will be debited. The discount tickets are valid for one (1) year from date of issue for the specified vehicle registration. During the period of validity a onetime transfer of the goods vehicle discount ticket to another vehicle in the same category and belonging to the same owner is permitted. The transfer of the goods vehicle discount ticket or the re-issue resulting from loss of the goods vehicle discount ticket will incur a processing fee of ten euros (€10). Purchased tickets cannot be returned, unused credit will not be refunded and the goods vehicle discount ticket validity cannot be extended. Valid: 1 (one) year from date of issue, for the specified vehicle registration and only in the light commercial vehicle category. Frequent users with heavy goods vehicles in the categories 2, 3 & 4 can purchase heavy vehicles and buses discount tickets at 3 (three) staggered values. The respective discounts correspond to 15% for the lowest denomination, 25% for the middle one and 35% for the highest unit. With each journey through the toll plaza the normal amount for the respective category will be debited. The heavy vehicles and buses discount ticket is valid for the business (firm) that purchases it and is therefore transferable within the business’s (firm’s) fleet of vehicles. This heavy vehicles and buses discount ticket can be used also for vehicles in the 1C category. Discount tickets for heavy vehicles and buses are valid for 1 (one) year from date of issue. Lost tickets cannot be replaced, tickets purchased cannot be returned, unused credit will not be refunded and the validity of the heavy goods vehicles and buses discount ticket cannot be extended. The toll is payable in euros. The toll can be paid using an debit card bearing the MAESTRO logo. In Austria motorways and expressways are toll roads. The tolls – sticker or GO Box – are paid to the ASFINAG. For the Felbertauern Highway NO STICKER OR GO BOX is required. Mit dem ADAC-Vorverkaufsticket sparen Sie Zeit und Geld. Die einzigartige Natur des Nationalparks Hohe Tauern gibt es kostenlos dazu. Eine nette Geschenksidee sind die Felbertauern-Gutscheine, welche Sie in unserem Verwaltungsbüro in Lienz erhalten oder via Formular bestellen können. Die Felbertauernstraße AG hebt Maut in Form eines offenen Mautsystems ein. Die Maut wird beim Durchfahren der am Südportal gelegenen Mautstelle in Matrei in Osttirol eingehoben.